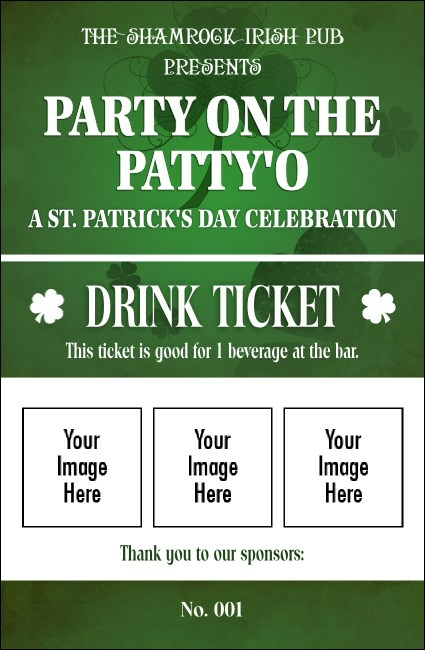 Let your guests leave their pot of gold at home and offer them a tasty pint when you print St Patrick's Day Shamrock Drink Tickets for your mid-March event. These bold green beauties feature a fancy array of shamrocks in the background and give you space to upload three of your own unique images. Find the luck of the Irish at TicketPrinting.com.